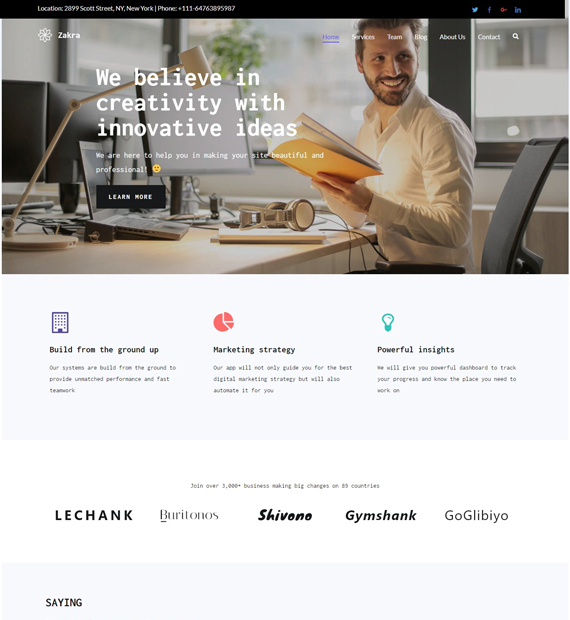 Zakra is a professional looking lightweight and flexible WordPress business theme. It can be used for any type of business websites. This theme also has 10+ demo websites to help you create a website efficiently. This can also save a lot of your time as you don’t have to start from scratch. It is also Gutenberg compatible. So, you can easily customize your website with the new Gutenberg Editor with the blocks and elements. It is also GDPR compliant. So, any type of sensitive data of the users is not stored in the website. Furthermore, this theme also has a lot of color and layout options to help you make your website more attractive.